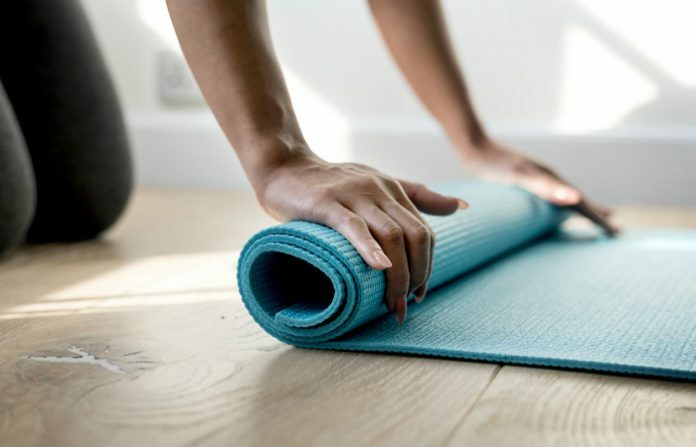 If you’re confused right now while searching for the right yoga mat, we have some information that might help you. In particular, we’re going to focus on a very common question – what is the best thickness for a yoga mat? The standard will always be 1/8 inch. 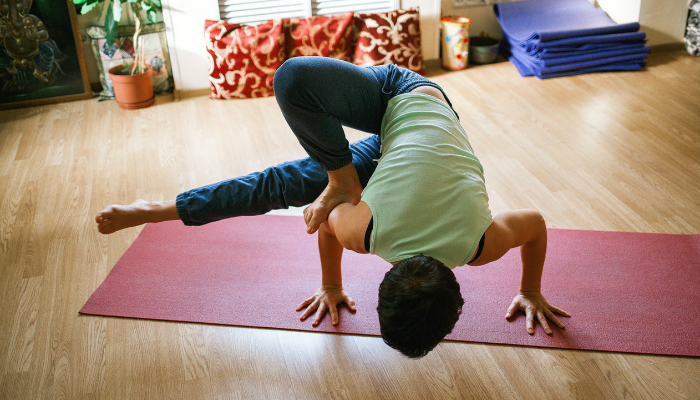 With a 1/8-inch mat, you’re free to use it for most yoga styles. Whether you’d be doing a gentler style or a more flowing one, this level of thickness is effective. It is ideal if you’re doing both powerful and relaxing styles throughout the week. Sure, other types of yoga will require a thinner or thicker padding, but not all people can buy more than one mat. Just to ensure that your yoga mat will be versatile enough, only choose a 1/8-inch option. Know the right level of thickness for your yoga needs. Thinner yoga mats, especially the 1/16-inch type, are perfect if you prefer to feel the floor’s hardness. They’re even crucial for poses that require more serious balancing. As a plus, they’re much more lightweight for travel. For restorative yoga sessions, thicker mats like 1/4-inch options are highly recommended. The poses there will require you to sit or lie down for a really long time. Your head and back will need additional padding. Thick yoga mats are also perfect if you have a certain health condition. As an example, check out the best yoga mats for bad knees. Unfortunately, extra-thick yoga mats can be really heavy for travel. Some of them can be as heavy as seven pounds. What is the best thickness for a yoga mat? Most people will find 1/8-inch yoga mats useful. These mats are perfect for almost any style of yoga. If you prefer a thinner or thicker mat, however, we recommend 1/16- and 1/4-inch versions. For additional knowledge, learn how to safely wash a yoga mat! Also, if you’re planning to expand your horizons, study more styles or poses from bestselling yoga books.